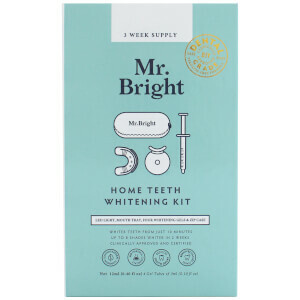 Now you can whiten your teeth in the comfort of your own home with this simple, safe and effective kit. See brilliant results from just 10 minutes. The best take-home formula available, Mr. Bright is the trusted and easy way to a whiter smile. This LED whitening kit comes with everything you need to get started - 3x week supply!